Do you ever need a precise and perfect color? 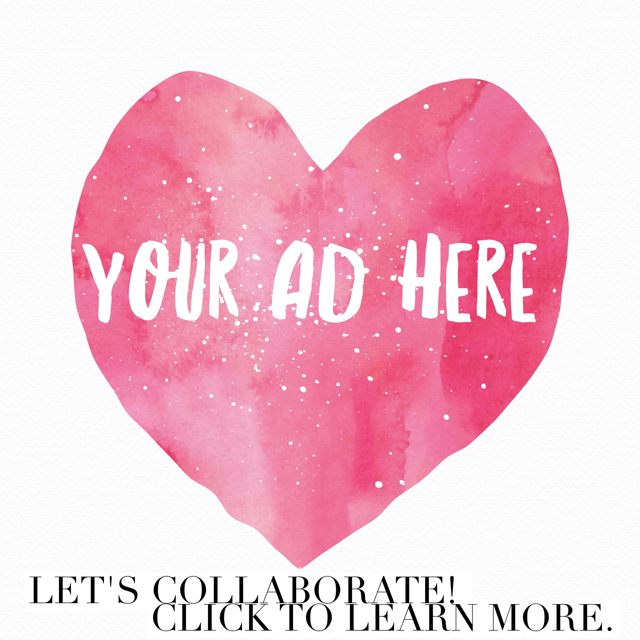 Perhaps you want a wall in your office to perfectly match a signature color that you use on your website. Or perhaps you want you wedding cake to be the exact color of your wedding dress. 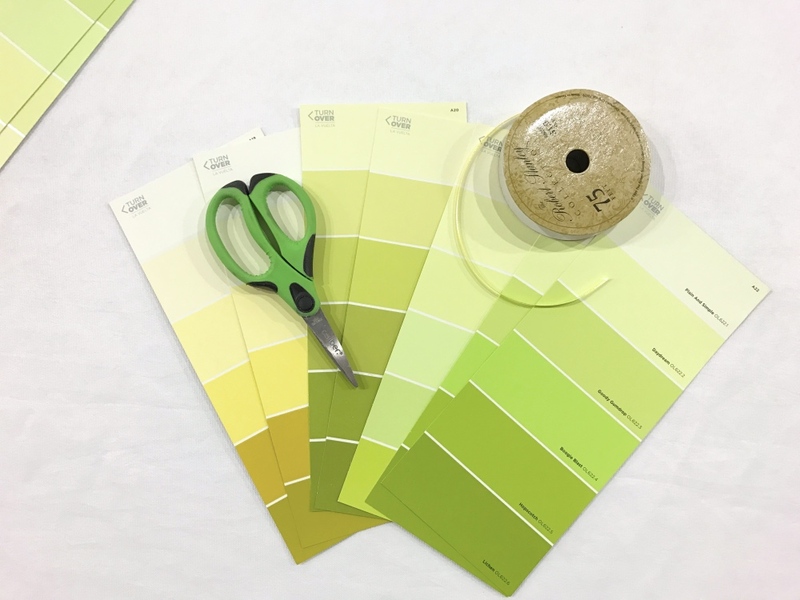 There are so many reasons that you would want a perfect color match! 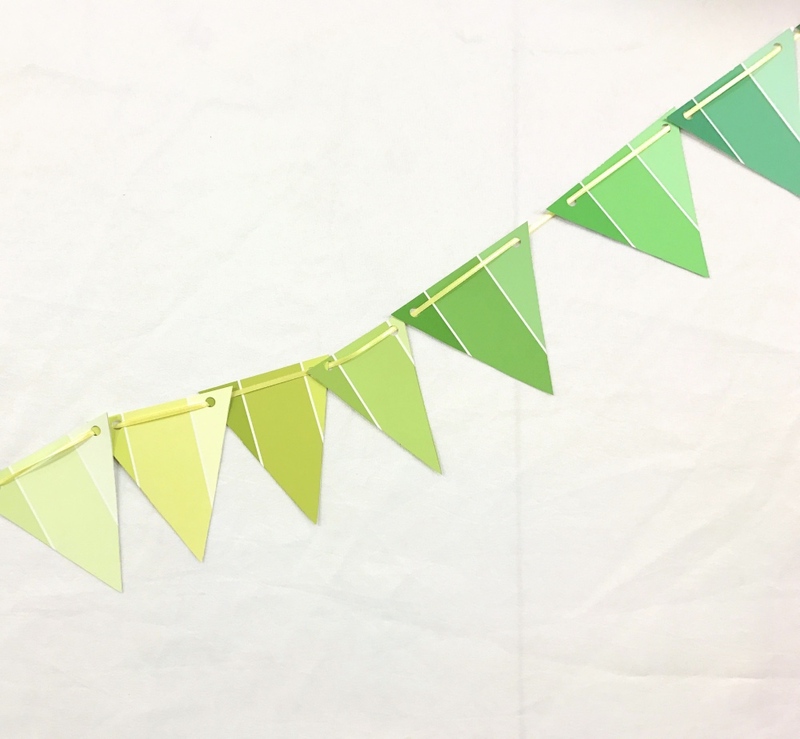 This blog is just as much about building a color palette as it is making a cute diy party bunting. Both of these things have limitless applications. But really the party bunting is just an easy way to think in terms of building a cool color palette. And my favorite tool to get this started is the Nix Pro Color Sensor. It’s a device that can scan any object for color. It gives you the CMYK, hex code, and RGB code. It’s a perfect way to translate color in between websites, photoshop, and real life like paint colors and so much more! 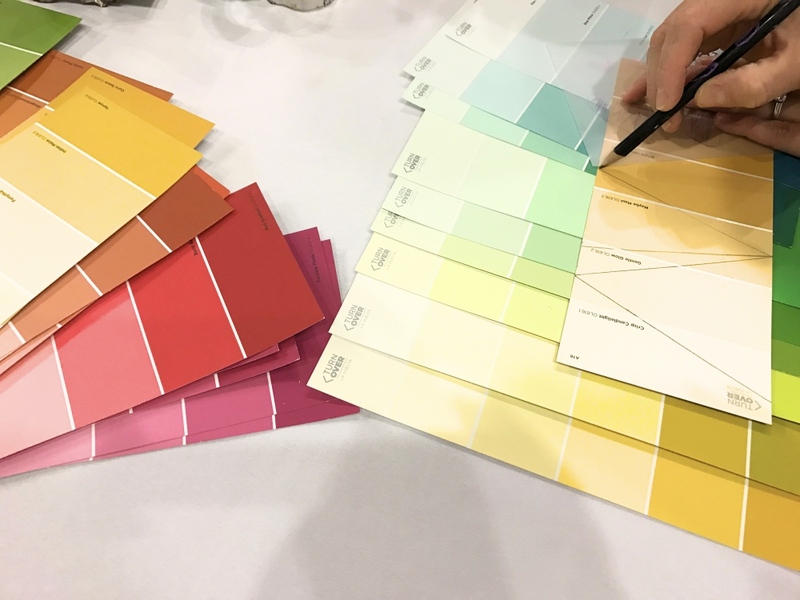 For this project, we’re using paint samples. They are the easiest way to build and test a color palette when you are working off a computer. When you are working on a computer, your greatest resource is the Color Hex website + Pinterest. Color Hex is perfect because you can convert RGB to Hex Codes or you can just type in “green” to see a wide variety of shades. You can click to lighter or darker, colors that are more cool tone and colors that are warmer. Color Hex also has a series of palettes, but they are not nearly as great as what you can find on Pinterest. Check out this gorgeous ones here. What’s cool about the Nix Pro Color Sensor is it can handle all of these tasks! 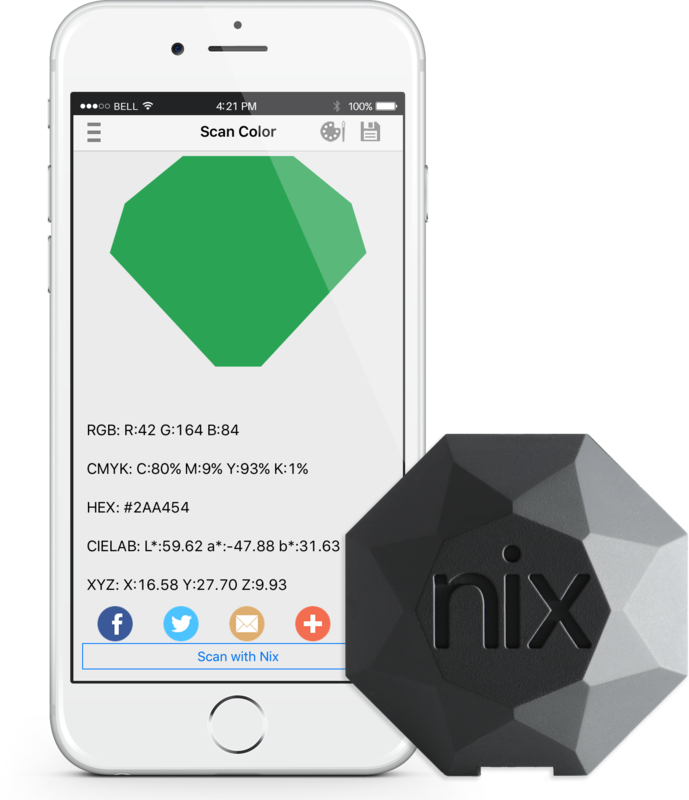 Nix has a phone app, so you just hold the Nix device to any object that you want to scan for color and click the “scan” button on your phone. It’s very easy. Once you find a color that you love, click the artist’s palette icon in the upper right corner! Viola! 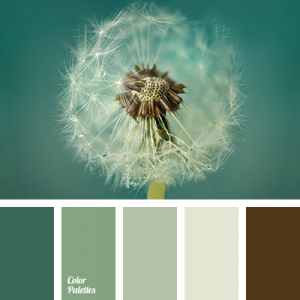 It will automatically give you gorgeous and modern color palettes. 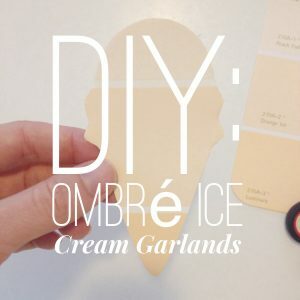 They are as fabulous as the best color palettes that you can find on Pinterest. And you can click through to find each individual color’s Hex Code, RBG Code etc. 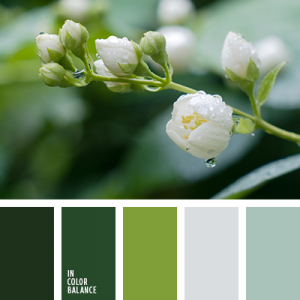 which will make your color palette so easy to work with digitally and in real life! 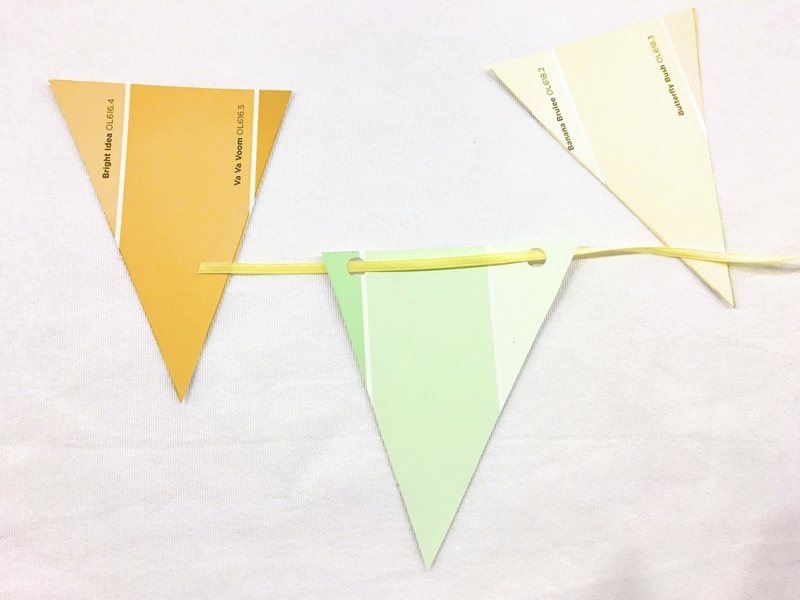 So now that you have your color palette all figured out, let’s test that palette with a cute party bunting! We used a square template to create triangles in the paint samples. 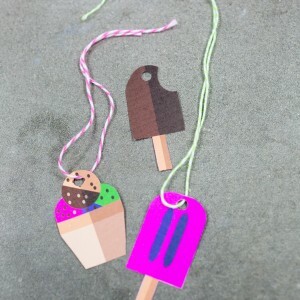 Or make your party bunting into a fun shape like this Ice Cream Cone Party Garland here! Whenever you have your shape ready to go, simply cut them out. 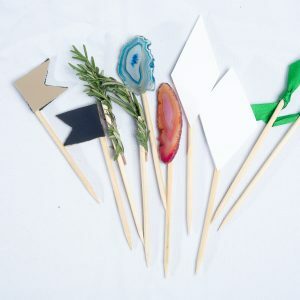 Always, always, always hole punch your party bunting on both sides so that the color will hang forward instead of facing to the side. You could also fold the top of the bunting down along the back side of the bunting if you don’t care for the hole punch aesthetic. Just be sure to have your ribbon in place first, trim the edges, and glue it down with any lightweight glue like rubber cement. 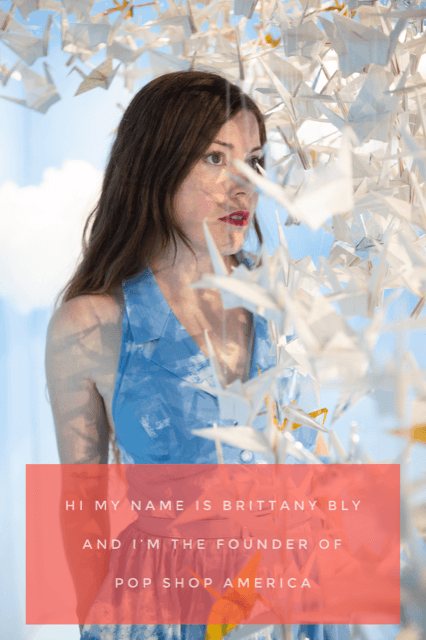 If you are using the hole punch, then you are going to weave your ribbon through the bunting. Be aware that you can thread the ribbon so that it goes in front of the bunting, like the one shown below, or behind the bunting too. 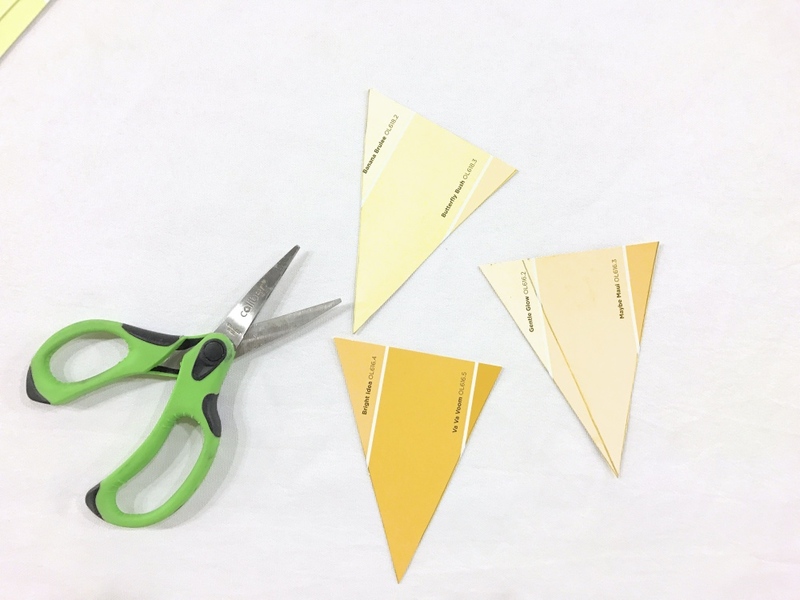 You can choose either but be sure to use the same method on each individual piece of bunting for a flawless and professional look! And viola! 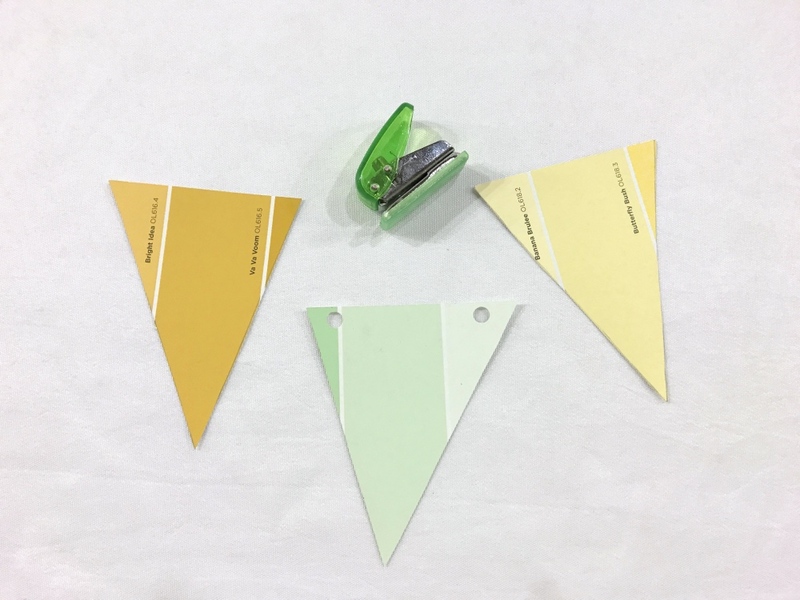 You have a perfectly color matching party bunting that is perfect for any occasion. 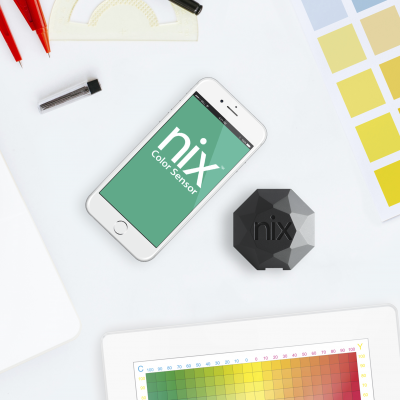 And you also have some cool knowledge of how useful and fun the Nix Pro Color Sensor is! If you want to learn more about Nix, see one in action, or grab one for yourself, check them out on the web here. 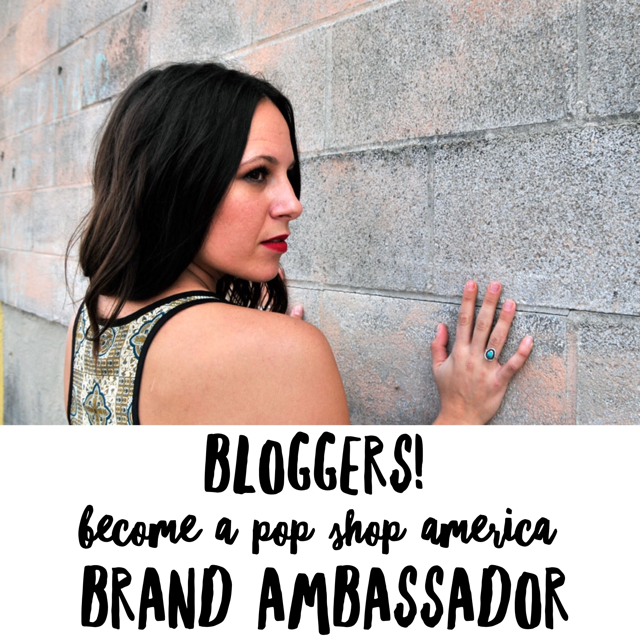 This blog and other blogs at Pop Shop America may contain affiliate links. Glad you liked it!! Can’t wait to check out your blog too.